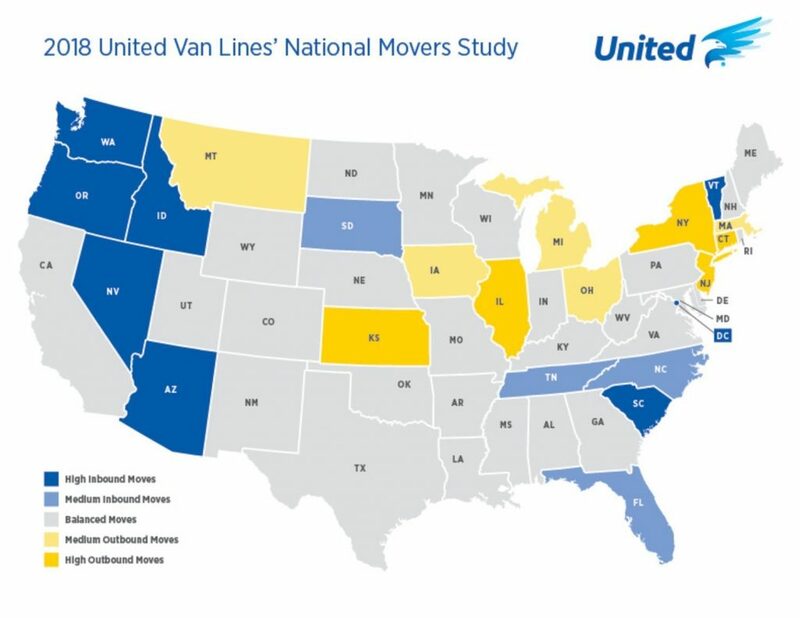 “The data collected by United Van Lines aligns with longer-term migration patterns to southern and western states, trends driven by factors like job growth, lower costs of living, state budgetary challenges and more temperate climates,” said Michael Stoll, economist and professor in the Department of Public Policy at the University of California, Los Angeles. New Jersey Senate President Stephen Sweeney drew a correlation between the outmigration study and the number of jobs the state has. He pointed out that WARN filings for 2018 showed that more than 11,000 workers at 55 companies in New Jersey were issued layoff notices. “We need to make New Jersey a place where current residents choose to stay, where young people can have a future, and where businesses and people from other states want to move to,” Sweeney said in a statement Jan. 3. Of course people are leaving. This is due to the inefficient, overpriced and bloated state and local bureaucracies. Stop all of these new taxes and mandates. New Jersey is just too expensive and the cost continues to rise at a rapid rate. New Jersey tax payers and employers are tired of this and want to get out. Let the free enterprise system work, while reducing overall state and local governmental cost and regulation, thereby making our state a better place to work and live. Stephen Sweeney’s commentary, rather than showing an understanding of a solution, illustrates how clueless our government can be. He speaks of investment (code for government spending) as his answer, holding to the progressive ideology that bigger government will solve all problems. If instead, government would get off the backs of small businesses, we could create an environment for healthy growth. Whatever happened to addressing our property taxes? Everyone talks a good game about lowering them when they are running for office, but then crickets when they get in. No wonder people are leaving. How can anyone in Trenton be surprised by this??? This may be a flawed study in that the unknowing participants in the study used a moving company who gathered and published the data. The persons moving, who hired a moving company, would indicate a person with some disposable income, possibly an education, and the intelligence to understand what is happening in New Jersey. No doubt the vacuum created by those moving out was filled, or soon be filled by less fortunate, less educated, less skilled, and maybe of lesser intelligence persons who probably won’t pay as many taxes, require more services, and have more dependents to create additional burden on government services and need for increasing taxes. Unfortunately, the exodus of people and businesses perpetuates and builds on itself. As more people and businesses leave the state, it leaves less potential for growth or even survival for the remaining people and businesses. I am glad that Mr. Sweeney recognizes this. It is unfortunate that our governor and other lawmakers do not. They really need to take a look at this data . They are making it so hard to do business in New Jersey as they are busy piling on new regulations instead of trying to attract entrepreneurs and good businesses who will bring jobs.